Can Anyone Fix the Restaurant Industry’s Sexual-Abuse Problem? The event was organized by Fight for $15 and workers who, in May, filed EEOC complaints alleging a culture of harassment at the chain. 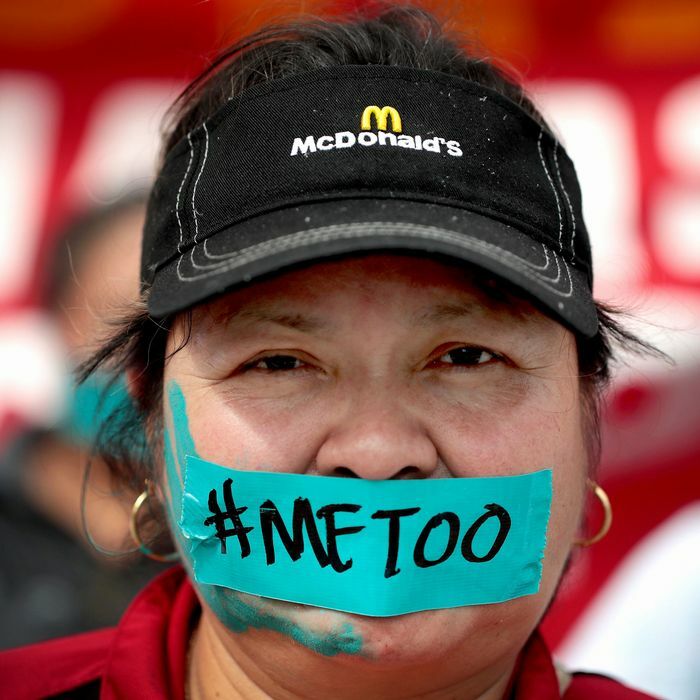 Asked about this week’s strike, a company spokesperson told Grub Street, “We have strong policies, procedures and training in place specifically designed to prevent sexual harassment.” In fact, at least 27 women have filed charges against McDonald’s over the last two years. Yet the problem is hardly unique to McDonald’s. The entire restaurant industry is at a tipping point — abuse runs rampant and several groups are fighting to make sure that changes as quickly as possible. 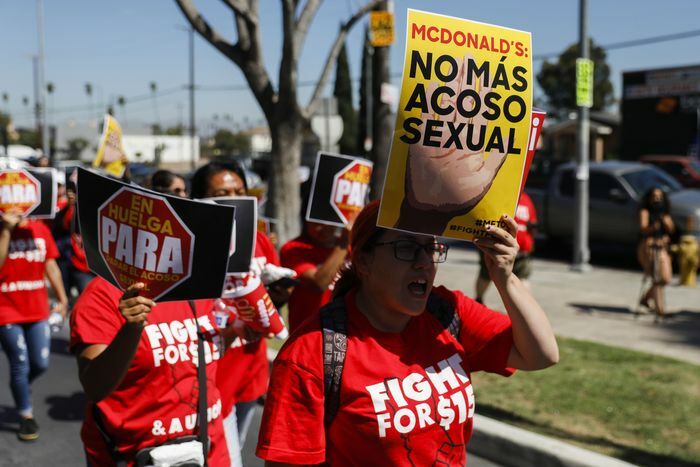 Exact numbers are difficult to come by, but an often-quoted Hart Research Associates survey from 2016 cites that 40 percent of female fast-food workers experience unwanted behavior in the workplace. Troublingly, it’s one of the more conservative estimates. In 2017, data put Carl’s Jr.’s sexual-harassment rate at an astounding 66 percent. McDonald’s has faced its litany of complaints, and Papa John’s has been accused of creating a culture where female employees feel objectified and harassed. One commonly cited 2014 report found that 80 percent of women and 70 percent of men in the broader restaurant industry say they’ve experienced harassment while working, and a full 90 percent of female workers claim they’ve encountered unwanted come-ons. Fifty-two percent say that at least once a week they get harassed at work by managers. Forty-two percent who experience harassment feel they have to “accept the behavior” in order to keep their jobs, and one in five women who do report it face retaliation. In December, BuzzFeed added another important layer of data-crunching: It took the 170,000 sexual-harassment claims that the EEOC received between 1995 and 2016, and catalogued them by industry. By far, the worst offender was “Full-Service Restaurants,” a category accounting for 10,057 claims, which comes to 1.3 claims per day for 21 years. “When the EEOC was created back in 1965, the commissioners thought they’d be dealing with racial discrimination,” explains Annelise Orleck, author of We Are All Fast-Food Workers Now and a Dartmouth history professor. “It was mostly women of color at first, but they were filing harassment complaints.” An analysis of all complaints filed between 2005 and 2015 found that the food service and hotel industries accounted for almost 15 percent of them. What Are Companies Doing to Fix This Problem? Critics say the fast-food industry’s response to these alarming figures is not enough. Of course, all fast-food companies have anti-harassment policies in place, but the effectiveness is questionable. Some Papa John’s employees have told Grub Street that they received no on-the-job training. And McDonald’s remains vague about its procedures, but Fight for $15 believes that only supervisors get official instruction. The group goes on to say that some employees don’t even know they have a legal recourse if management fails to respond to a complaint. The Dallas-based chain Mooyah Burgers, which operates over 100 locations in 20 states, started conducting its own comprehensive anti-harassment training back in 2015. Employees have a third-party hotline to call, and Mooyah warns employees that it’ll take action for harassment that occurs even online. “We don’t differentiate anymore between harassment on social media and harassment in the workplace,” says VP of training and people development Dennie Laney. She adds that a complaint’s validity often gets borne out by a Facebook comment these days: “It’s almost easier to prove now that we have texts and emails and screenshots.” While the chain would not share numbers about how many complaints it receives, the efforts show promise. What Do Some Other Solutions Look Like? The restaurant-worker advocacy group also runs Sexual Harassment/Assault Response & Prevention training, a program that got its start at the Upper East Side restaurant Amali. 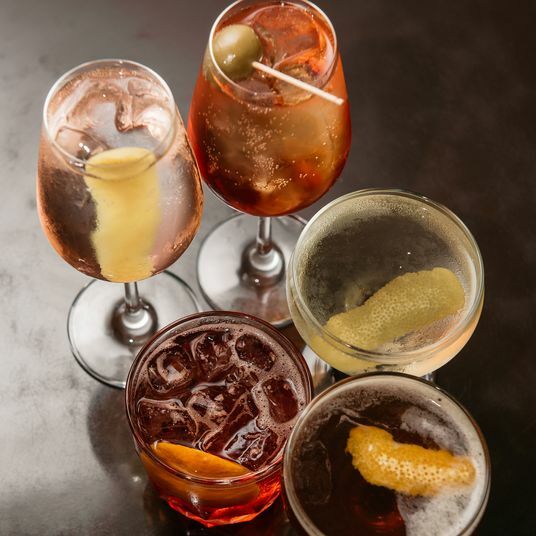 In the aftermath of the #MeToo movement, ROC has trained staff at hundreds of restaurants, held closed-door meetings with chefs, and worked with the James Beard Foundation to facilitate conversations. Can Anyone Fix the Restaurant Industry’s Abuse Problem?